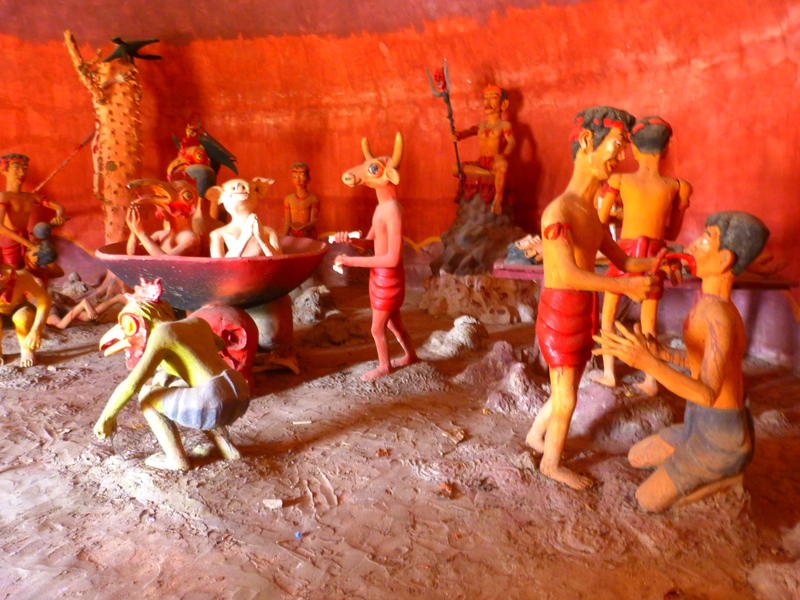 this last picture is a depiction of Buddhist hell from a temple in Nan. The usual non-stop torture for all eternity thing. 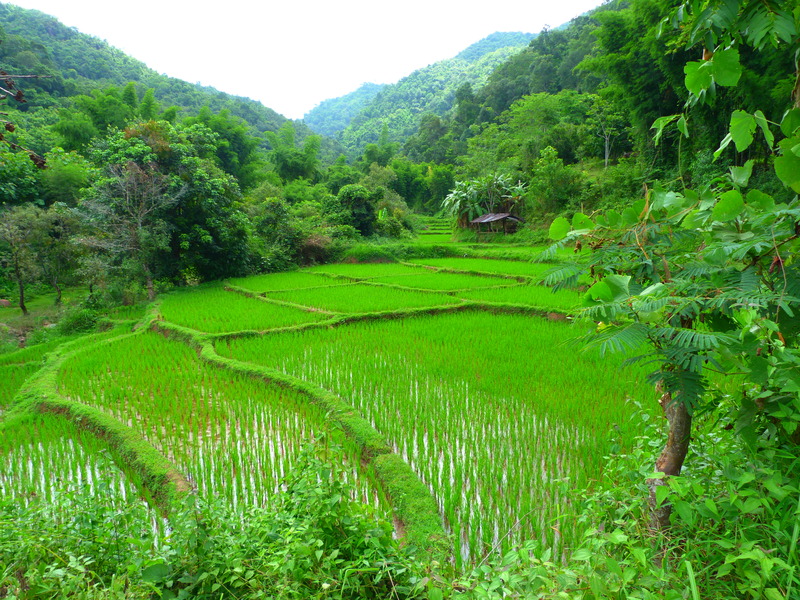 The almost un-inhabited province of Nan lies five hours east of Chiang Mai. 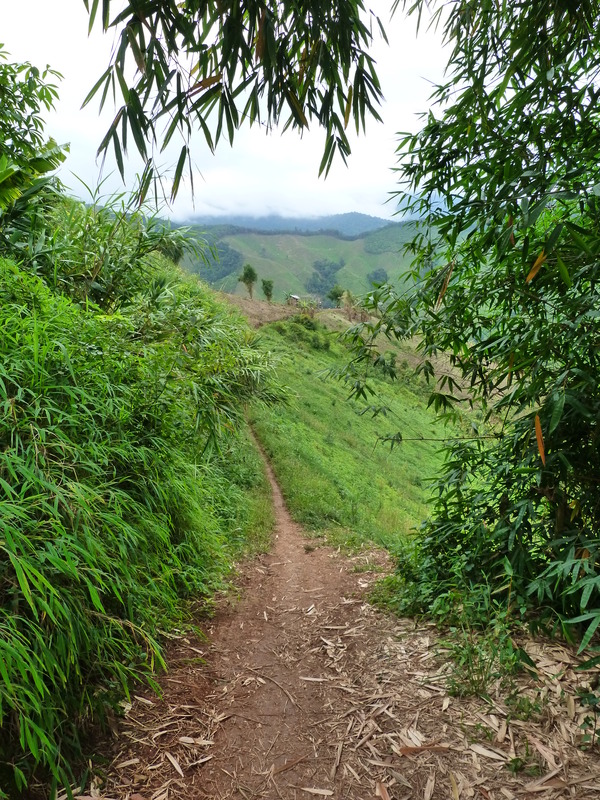 It’s very mountainous, as is neighboring Laos, and it’s no picnic getting there, and the roads all run the wrong direction, blocked by the mountains that lead up to Chiang Rai. It took us five and a half hours by bus to get there, but nine hours of travel to get home, for all the buses were full. 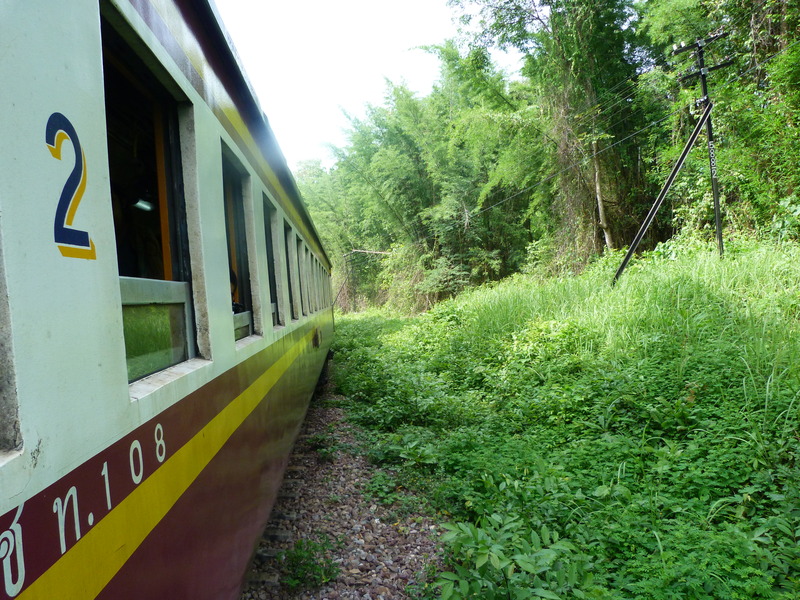 A minivan took us to Denchai train station, and then the next morning we were able to take a train to Chiang Mai. But Nan province is worth the trip. Thai roads are so much better than Lao roads there is no comparison. 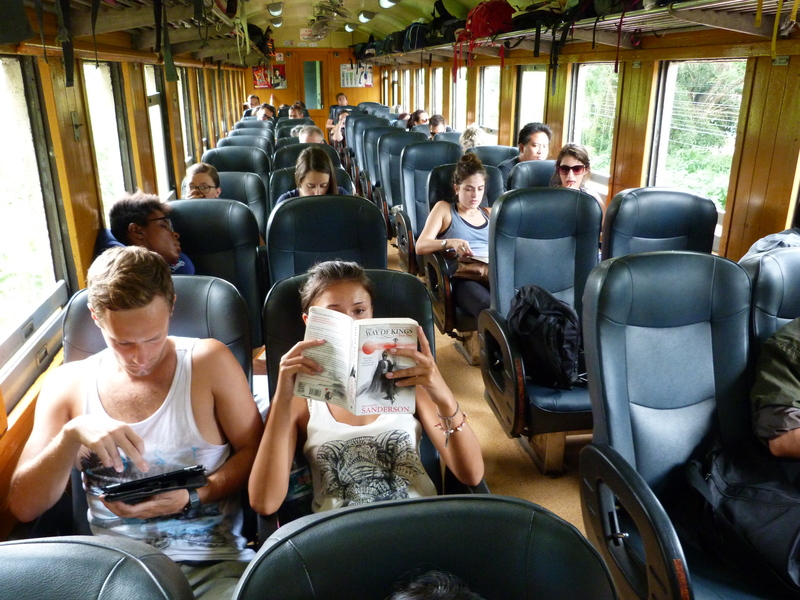 The people look very much like Lao people, tall, lighter-skinned and at least to this Caucasian, more Chinese-looking. The trip we took involved renting a motor-scooter in Nan city and then riding up to Pua, spending the night as the only guests at a large resort, and then moving on the next morning to Bo Klua, passing through glorious mountains and chilly fog. I’ve got to remember to be more careful when I rent motor scooters from guest houses. Ours had no rear brake and shook violently when going faster than 35 miles per hour. 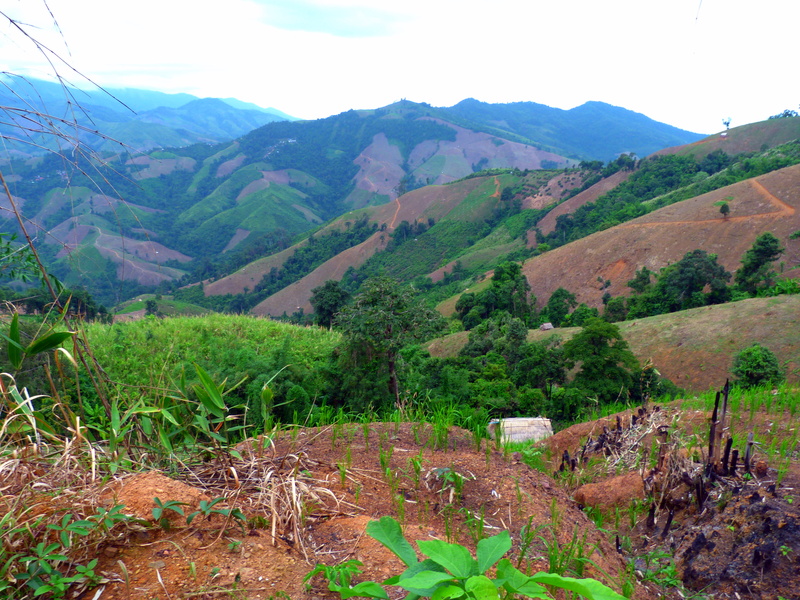 The last two hours of the trip back to Nan were gradually more and more disappointing, as clear-cutting of the forest in order to grow corn makes the mountains look like Thai boys with the summer haircut that is now popular, bushy on top and shaved on the sides. The clear cuts look like Oregon, but i suppose they used to be full of tropical hardwoods. So sad to see this kind of ruthless resource extraction everywhere. Glad to hear you are both home safe and sound.